Last week, Broadway legend Elaine Stritch passed away at the age of 89. 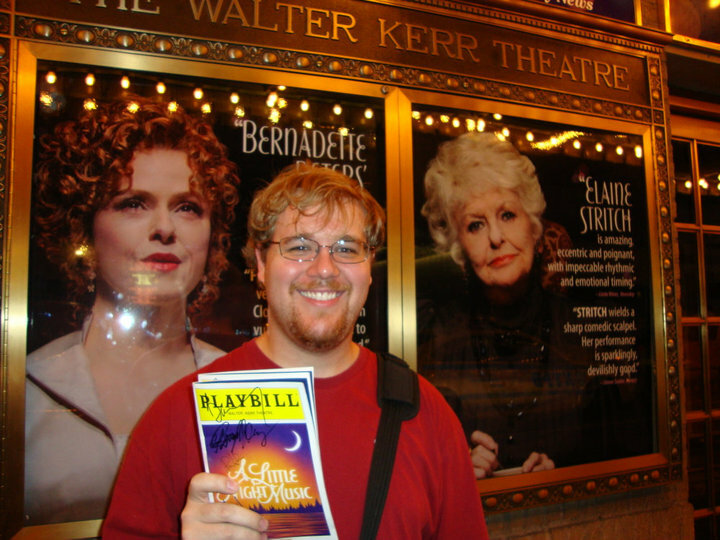 In honor of her life and incredible career on the stage, I am skipping quite a ways ahead in the Playbill Throwback series to my one and only opportunity to see Elaine Stritch on-stage in the 2009 revival of A Little Night Music. Me: I had been living in New York for nearly a year. 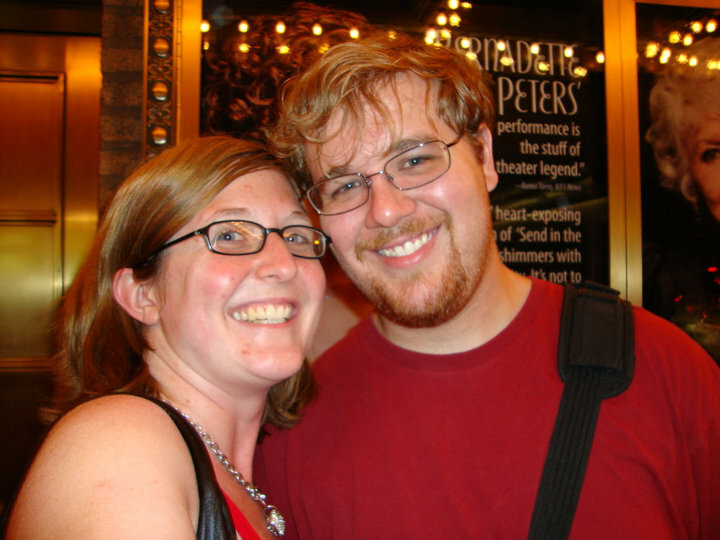 As of July, I was newly married and making it my mission to educate my husband in all things Broadway. When the revival of A Little Night Music opened on Broadway, Catherine Zeta-Jones and Angela Lansbury were the headliners as Desiree and Madame Armfeldt respectively. 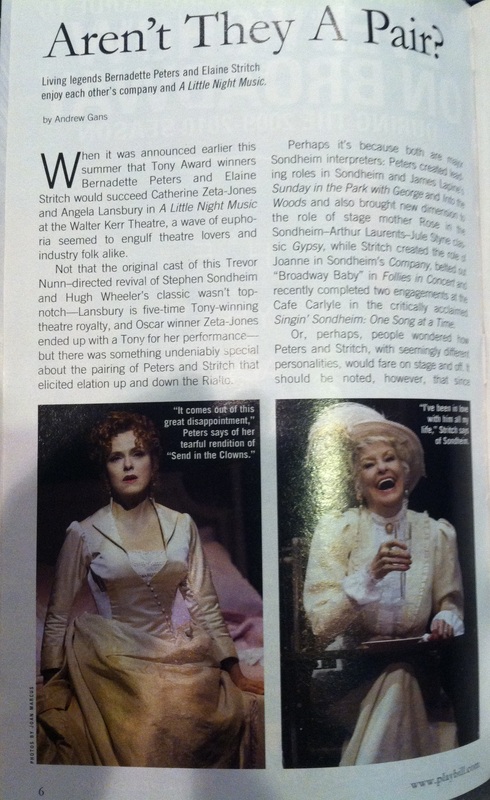 The show made headlines again, though, when Bernadette Peters and Elaine Stritch were announced to take over for Jones and Lansbury, and some critics suggested that this was a rare case when the replacement cast (at least when it came to Catherine Zeta-Jones and Bernadette Peters) was better than the original. 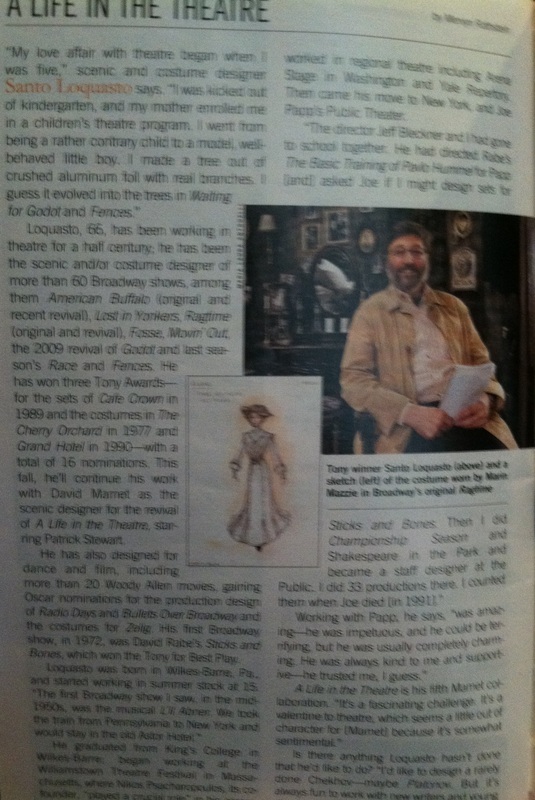 Many critics took the unusual step of reviewing the show again, including the New York Times and the Los Angeles Times. 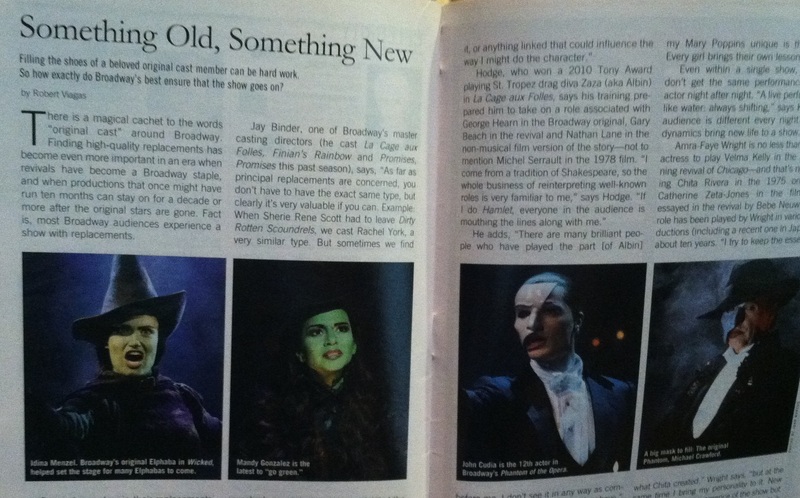 Here is the original revival cast and the cast when I saw the show. 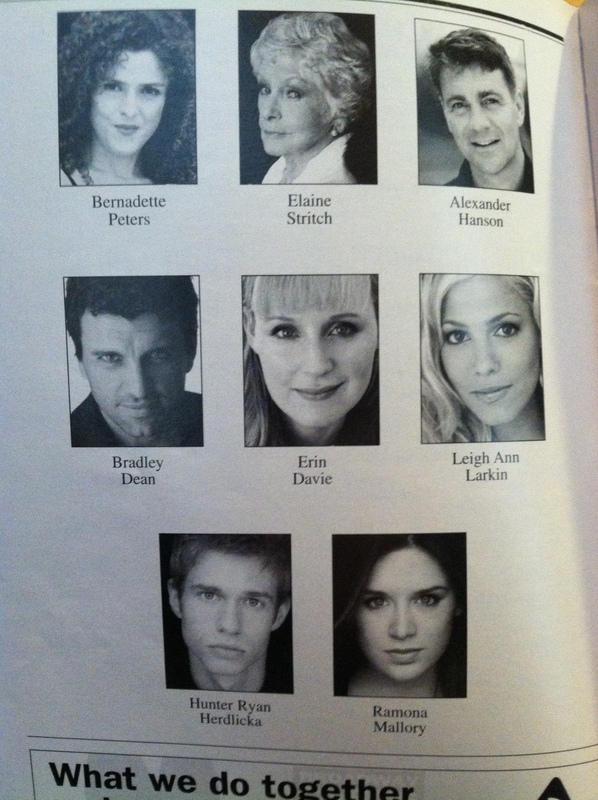 Principal actors who were not members of the original revival cast or changed characters since the show opened are in bold. 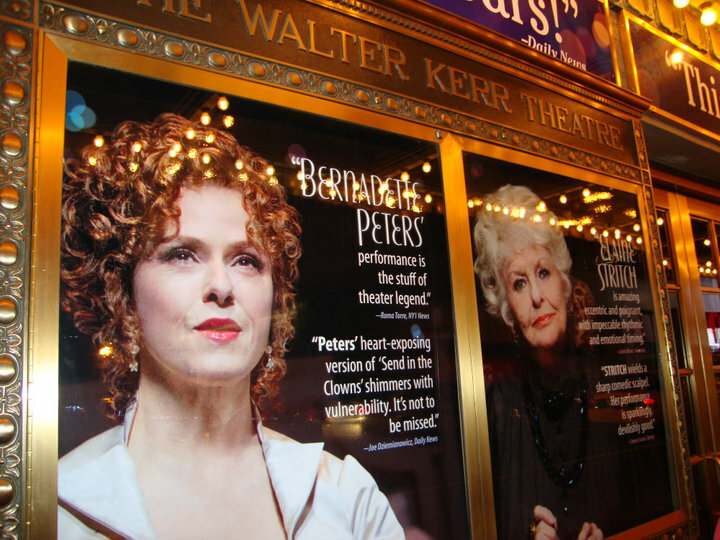 I had grown up loving Bernadette Peters in filmed productions of Annie and Into the Woods, but I had never had the opportunity to see her nor Elaine Stritch live on-stage. I heard that they were offering rush tickets, so I stopped by the Walter Kerr Theatre on the chance that there some tickets left. Honestly, I didn’t think there would be any tickets left because I was running very late, but somehow, I snagged two tickets for that night. What I didn’t realize was that the tickets were standing room. The plot of A Little Night Music is difficult to sum up succinctly. It is loosely based on the Ingmar Bergman film Smiles of a Summer Night, but in a nutshell, a bunch of wealthy socialites descend upon a country house for the weekend and shenanigans occur. At the center of the drama is Desiree Armfeldt, an aging stage actress who still spends most of her time on the road and playing in smaller towns and smaller stages. Her mother Madame Armfeldt owns the country house and is playing hostess while also acting as a mother figure to Desiree’s daughter Fredricka. Since Desiree is always touring, Fredricka lives with Madame Armfeldt. The guests for the weekend include Desiree’s old fling Fredrik with his new 18-year-old bride Anne, Fredrik’s 19-year-old son Henrik, Anne’s maid Petra, Desiree’s current lover Count Carl-Magnus Malcolm, and the Count’s wife Charlotte. By the time everyone gets to the house, Anne is aware of Fredrik’s past with Desiree, and Charlotte is aware that her husband is cheating on her. The Count also knows about Desiree and Fredrik, and he is planning to challenge Fredrik to a duel. Over the course of the evening, Desiree tries to convince Fredrik to give them a real chance while Charlotte tries to make the Count jealous and Anne runs off with Henrik. Couples come together, couples fall apart, and as Madame Armfeldt says, the summer night smiles three times. Out of the score, the most well-known song is Desiree’s second act ballad “Send in the Clowns” which has become so ingrained in popular culture that it is almost a joke. Everyone has covered this song from Frank Sinatra to Barbra Streisand to Will Ferrell. Reading the lyrics, it is surprising that the song had so much appeal outside of the show. 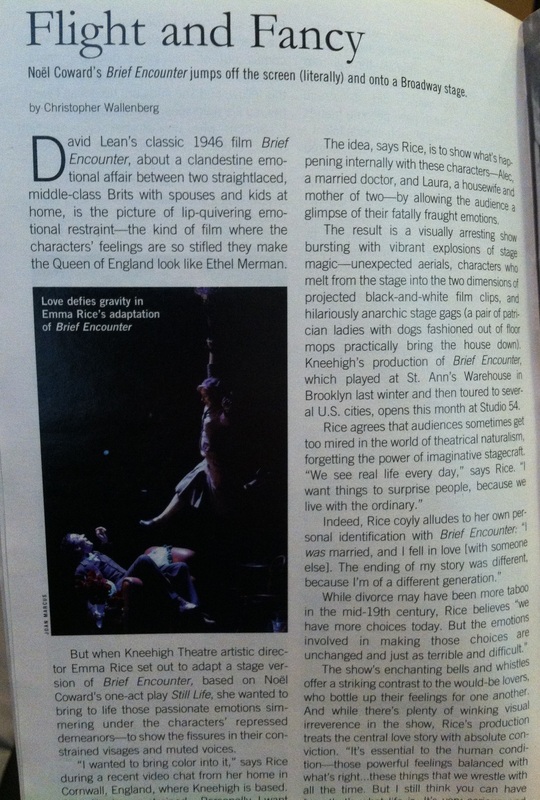 Every word is character specific to Desiree, referencing her career on the stage and her relationship to Fredrik. Example: “Isn’t it rich? Isn’t it queer? Losing my timing this late in my career?” The tragedy is that Desiree and Fredrik could have been happy, but when she is finally ready to retire from these touring shows, he thinks he is in love with the woman that she was rather than the woman she is now. The widespread appeal of the song has to be attributed to the music which is absolutely gorgeous and the bittersweet tone of the lyrics. It is surprising that the song was a last-minute addition to the show, which goes to prove that it is impossible to tell what audiences will respond to. The whole show was engaging and beautifully sung, but the highlights were easily Stritch’s rendition of “Liaisons” in the first act and Peters’ “Send in the Clowns” in the second act. 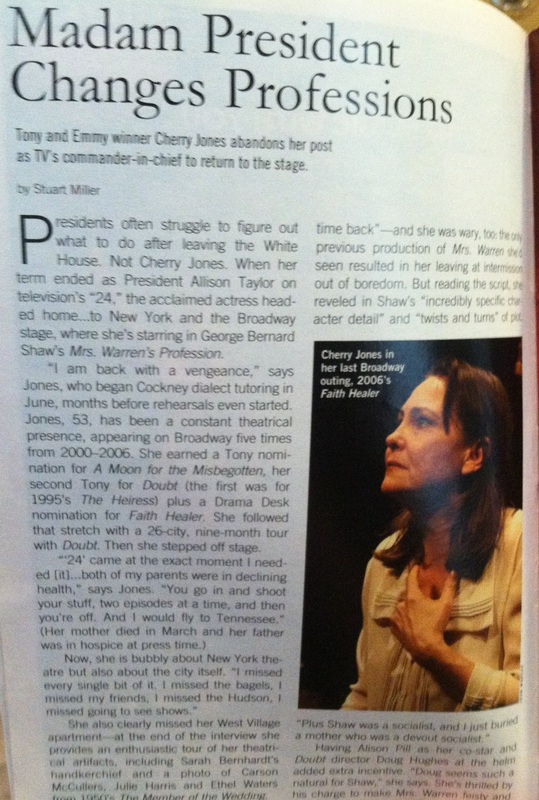 With both songs, I remember getting goosebumps up and down my arms, seeing these fantastically talented actresses (living legends, really) play roles that were so well-suited for each of them at this time in their lives – Peters as the actress weary of life on the stage and Stitch as a world-wise matriarch nearing the end of her life. 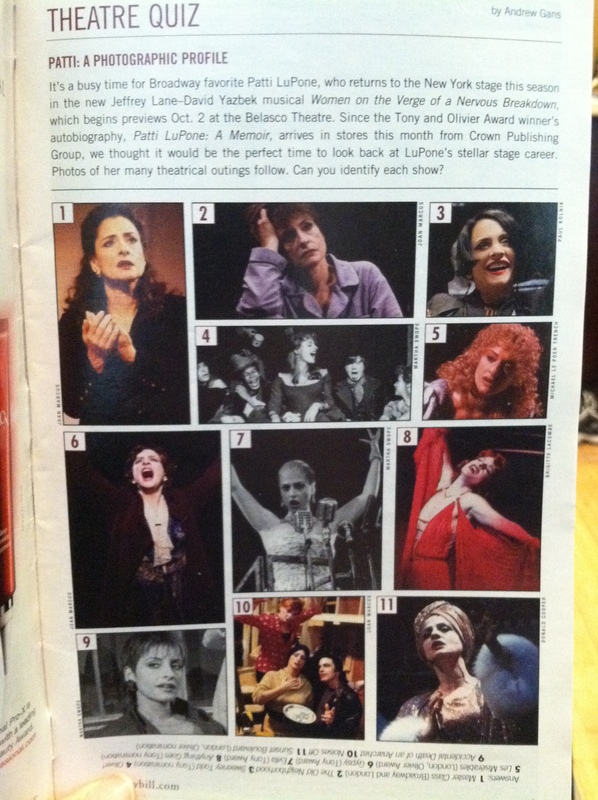 I remember getting teary and not believing that I had the privilege to see this show with this cast. 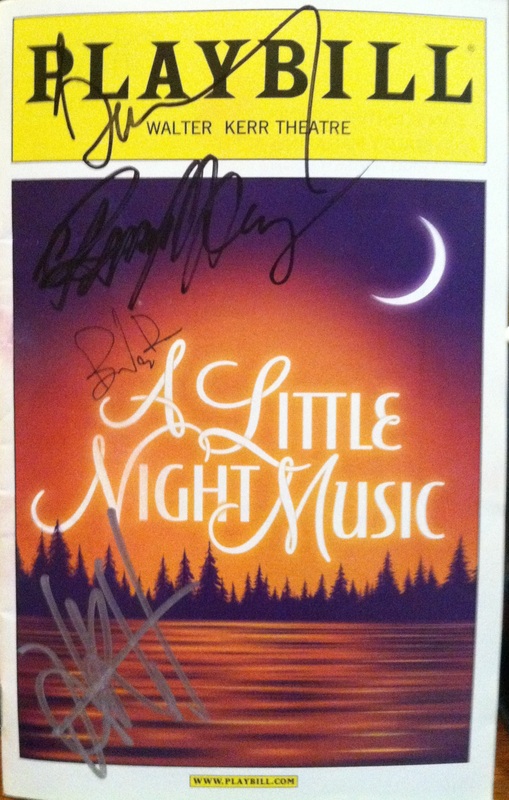 Elaine Stritch wasn’t signing autographs at the stage door, but I did manage to get autographs from Bernadette Peters, Bradley Dean, Hunter Ryan Herdlicka, and Ramona Mallory. 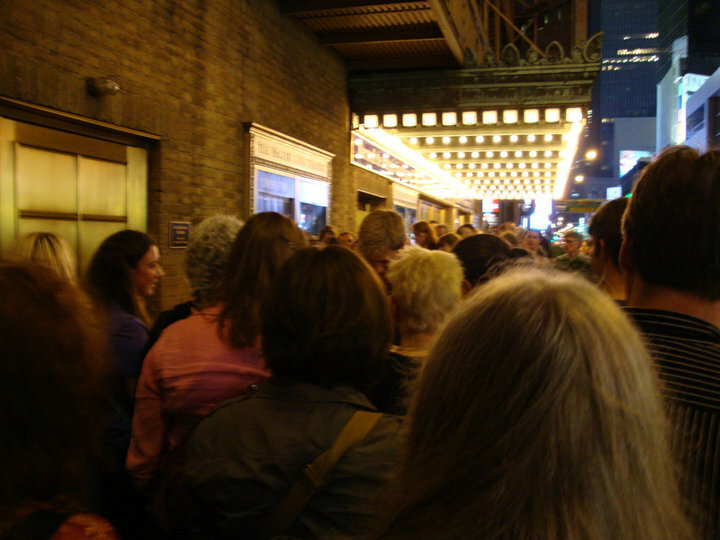 It was a madhouse at the stage door! 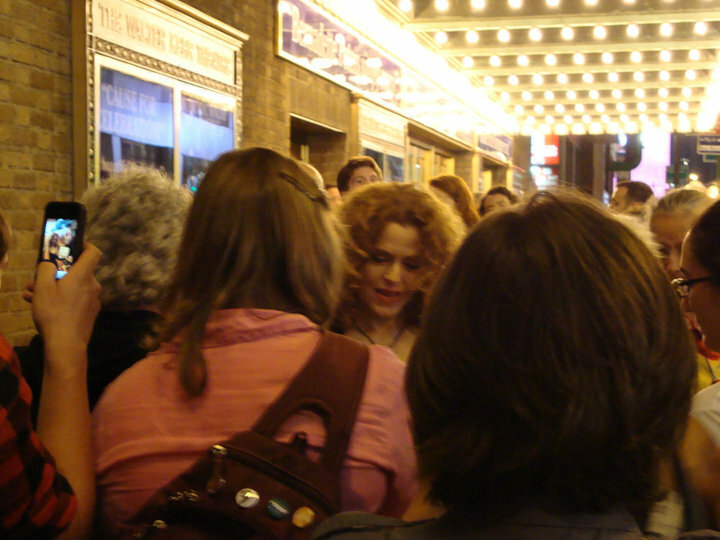 And here is Bernadette Peters! Everyone was crowding around her as she worked her way to her waiting car. And we took a quick selfie in front of the theater with our signed Playbills!